You may have been worked with Apache POI Library to read and write content in excel sheet. 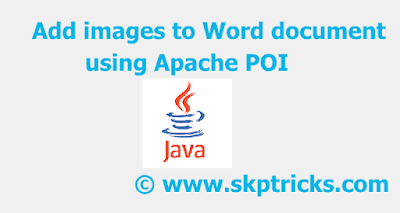 But in this article we are going to use Apache POI Library to add images and text content to word document using java. Using Apache POI Library you can perform any kind of read and write operation in word document easily. 2. Download Apache POI 3.17 library and jars. Lets see the below source code, that helps you to write content in word document with the help of Apache POI Library in java. Go through the comment section of the code ,where we have explained code details for each line. //Passing imgae file lication and text/message in addImagesToWordDocument parameter. //This function will append content in word document. 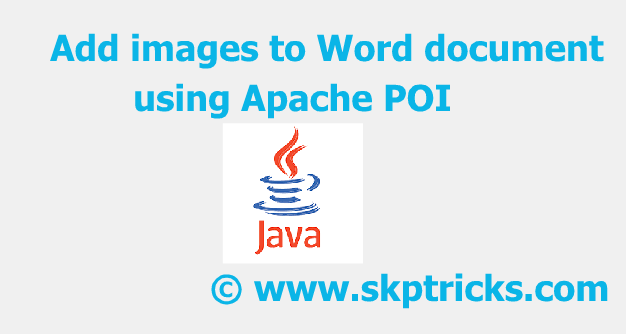 This is all about adding images to Word document using Apache POI in java. Thank you for reading this article, and if you have any problem, have a another better useful solution about this article, please write message in the comment section.